I’ve been having a months-long dialogue with a friend about, among other things, how much one can and ought to attempt to better the world. 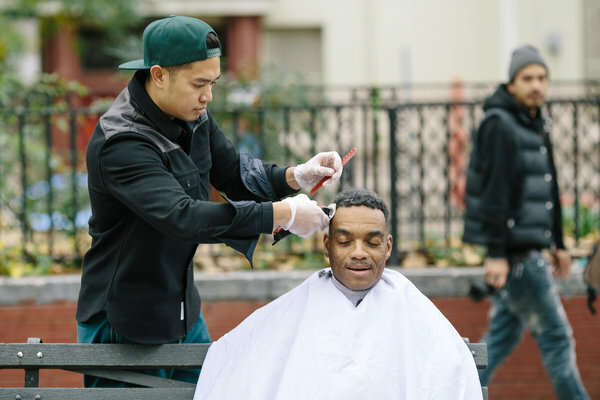 It’s a tall order, certainly, but things like this article about a high-end hair stylist who spends his Sundays giving free haircuts to homeless people he meets on the street reminds me that no matter what your occupation or passions, there are ways to give someone a hand. It’s been a rough day for me, and I appreciate the reminder to think beyond myself. There’s always something we can do, even it seems small.